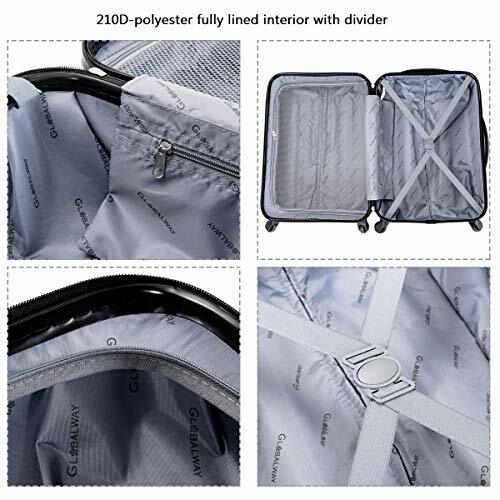 【FULLY LINED INTERIOR CARRY-ON SUITCASE】A meshed zip cover side and straps with a buckle side.Packing would be a breeze and everything stayed in place with the help of the interior straps and flap.When you open travel suitcase, your clothes stay put and don't fall everywhere. 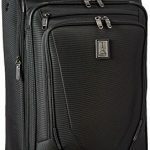 【A TREMENDOUS PLUS FOR PROTECTING AGAINST CRACKED AND WEIGHT LIMITS ON AIRPLANES】Made of durable ABS hard shell with scratch-resistant finish four wheels.And the suitcases with wheels themselves do not have much added weight, it won't be a hassle when traveling, especially when having to pay extra for overweight bags. 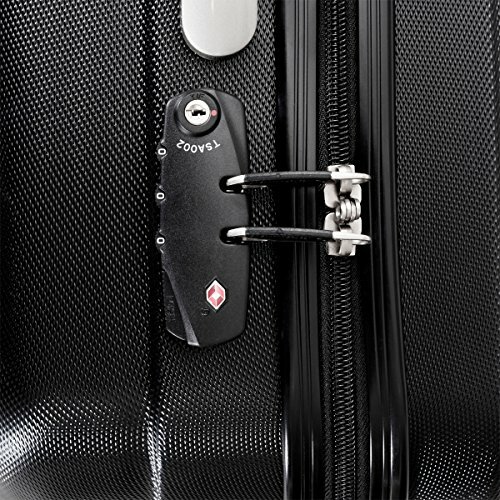 【TSA APPROVED LOCKS】You can lock your luggage and the TSA can get access to inspect without damaging anything. 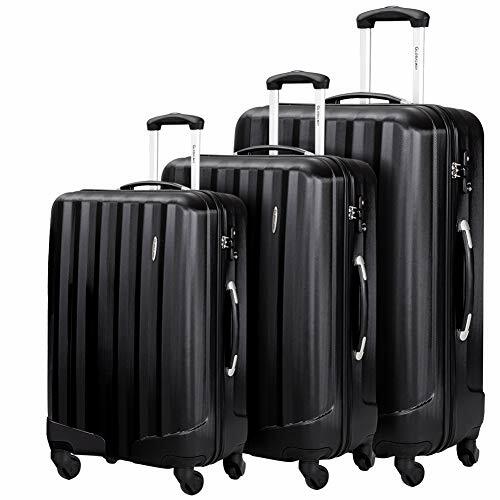 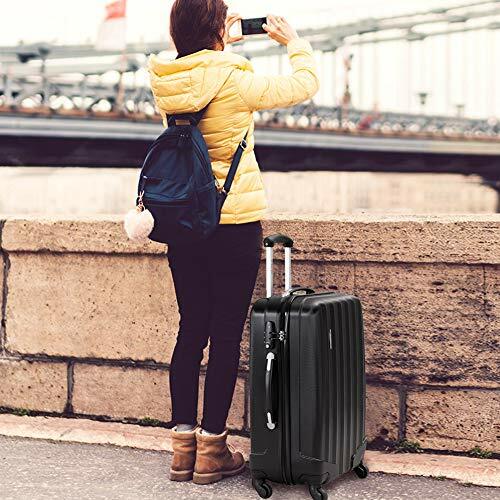 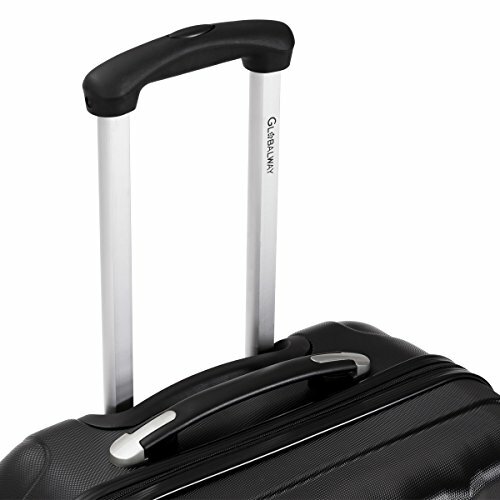 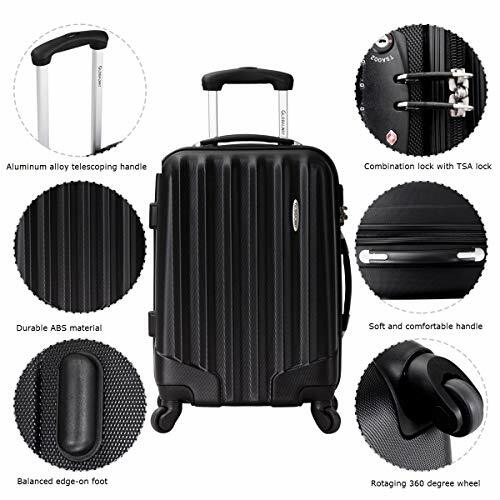 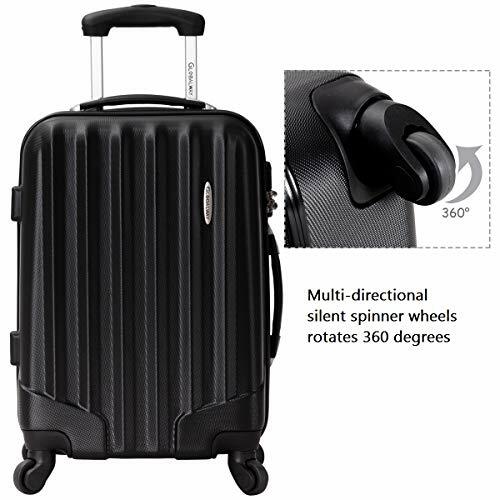 【SPINNER WHEEL & TELESCOPING HANDLE】Multi-directional silent spinner wheels rotates 360°make walking with the luggage a dream.Ergonomically designed push-button telescoping handles makes opening and closing with ease. 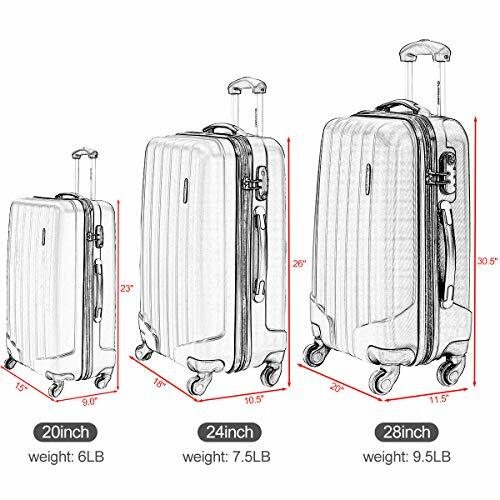 【WHAT YOU GET】1*28" suitcase for consignment,1*24" suitcase for checking in and 1*20" suitcase for carrying onto the plane.Worry-free 100% money-back guarantee and friendly customer service.